Firstly i wish to commend the PF Government under the able leadership of President Edgar Chagwa Lungu for listening to the cries of the grassroots and subsequently retrieving 25/27 buses meant for youth empowerment which were surely not serving their intended purpose. 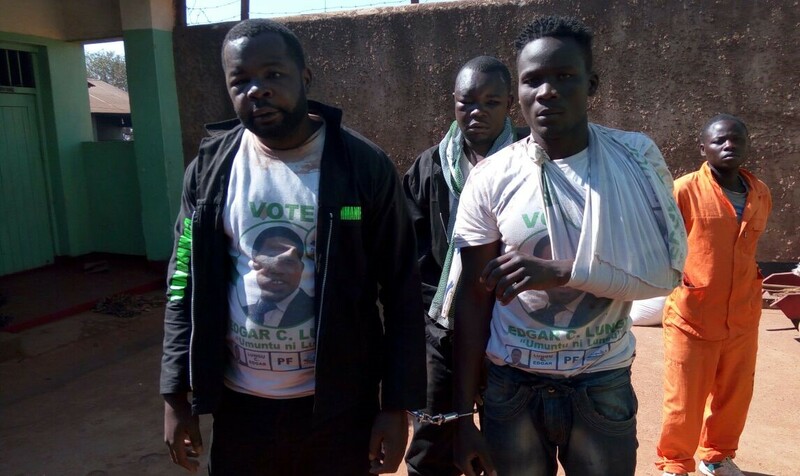 Selfishness and greediness by a selected few individuals should never be allowed to destroy our party’s relationship with the grassroots, putting the name of our party PF and that of our President Edgar Chagwa Lungu in direct firing range of public ridicule. Personally from the word go i have been a strong critic about the way the issue of buses was being managed because i could see that it was being abused by only benefiting selected individuals at the expense of the majority youths. Last evening revelations on our national broadcaster ZNBC main news by the Minister of Youth and Sport hon. Moses Mawere to say the buses were not serving the intended purpose, some buses are in bad state, others are none runners, the loan was heavily defaulted and Youths were not benefiting, clearly vindicated me and this is something that has forced me to comment because such an issue can not be allowed to die a natural death. If Youths never benefited and the loan was heavily defaulted, buses brought in bad shape to the extent that others are no longer runners. Its sad to note that such a good Empowerment program initiated by the President can be allowed to go to waste by selfish, heartless and greedy individuals. I wish to strongly appeal to the Ministry of Youth and Sport to allow our government investigative wings commerce investigations so that we have answers to so many of our questions surrounding the issue of buses. People who were in charge of these buses or those that benefited at the expense of the majority youths should reflect on bringing back the money or risk being treated as common criminals. They say charity begins at home, we need to lead by example as a ruling government in terms of fighting corruption hence the need to make sure that everyone involved in this scam is brought to book. If the buses were properly managed, today we would have grown big from 27 buses to over 100 buses creating both employment and business opportunities for our youths in all the 10 provinces, something that would have cemented our political grip on the ground.